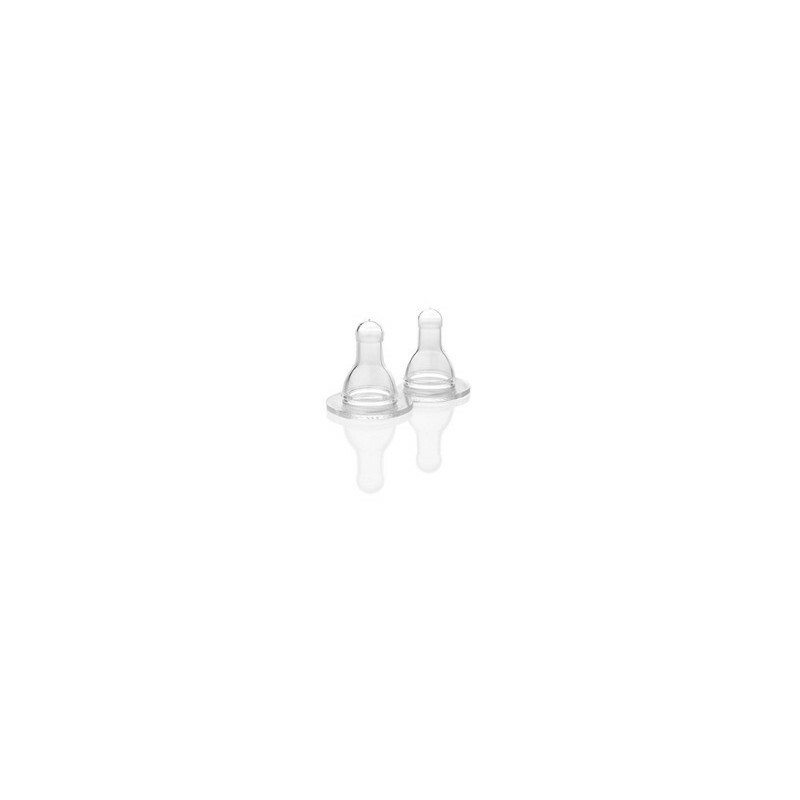 Pack of two medical-grade silicone bottle teats compatible with Lifefactory 4oz and 9oz baby bottles. Suitable for children 0-3 months old. Stage 1: suitable for children 0-3 months old. Also available in stage 2 (3-6 months), 3 (6+ months), and Y-cut (6+ months fast flow).